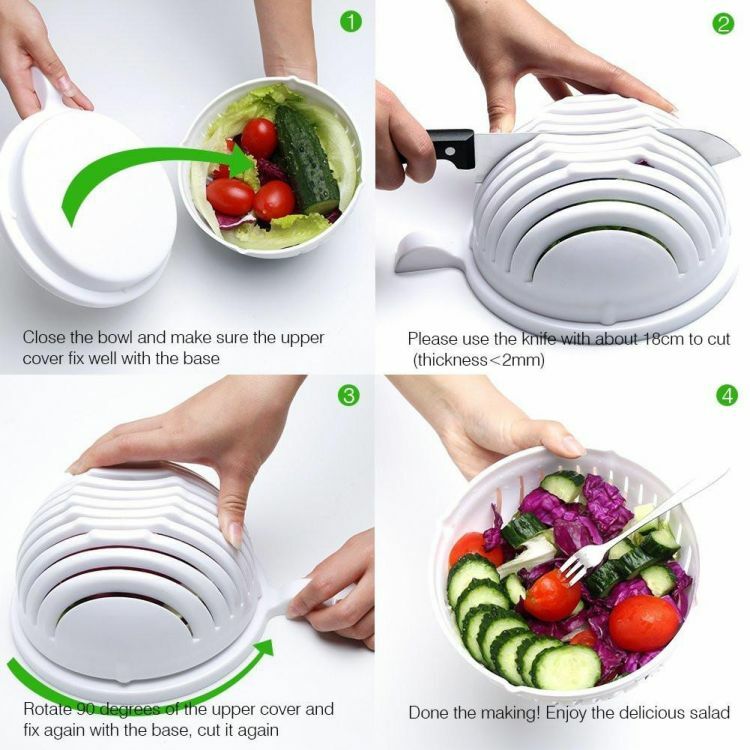 This salad bowl can make you enjoy a nutrition balanced salad more easily. Step 2: set up the cover and the bowl, and slice it. Step 3: Rotate the bowl to another direction, slice it again. If you enjoy a smaller pieces, just repeat step 3 and slicer several times, your ingredient will be smaller. Click 'Add to cart' to get yours.